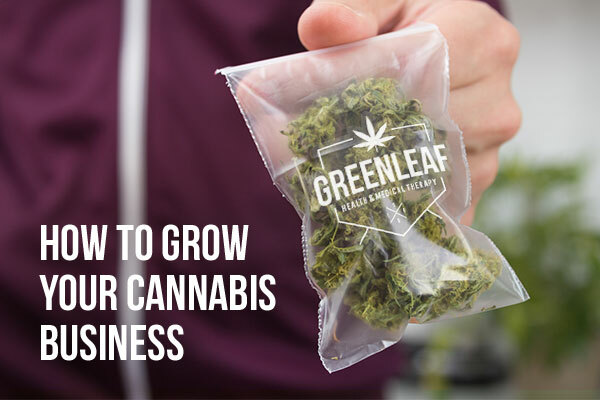 As we all know, the cannabis business is exploding, and growing very fast. With so many competitors popping up, it’s crucial to set yourself apart from competitors. So how do you do this? Ultimately, it comes down to branding and marketing. Having a high-quality product and showcasing it in an aesthetically pleasing way is crucial, so let us give you some tips! The outside of your store is often the first thing people will see when being exposed to your business. Having a large logo decal, vinyl lettering, and an hours of operation sign will help let people know about your business, and ultimately bring in more potential leads. Our decals are made from premium white vinyl and are even safe for outdoor use! 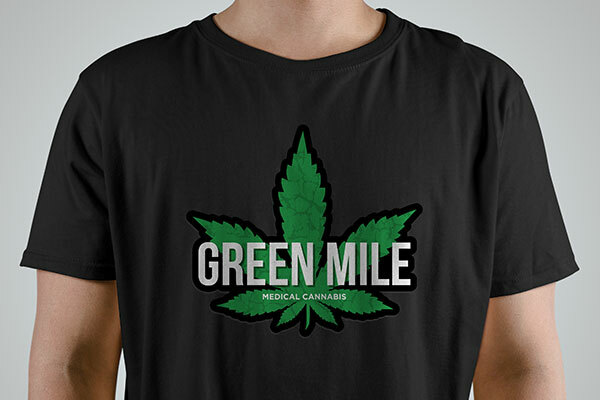 So you think you have the hottest strain in town? Let people know! Brand your baggies and canisters with some stickers and labels. 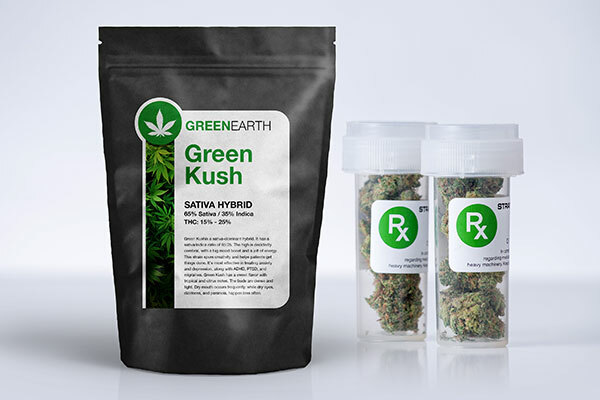 Showcase your strain name, company name, company logo, and even your social media! Putting the product info on your labels will also promote repeat purchases if customers like your product. Using a specialty coating like foil will enhance your product and give the appearance of a luxurious, high-quality product. If your business is booming, it may be worth investing in some bulk swag. 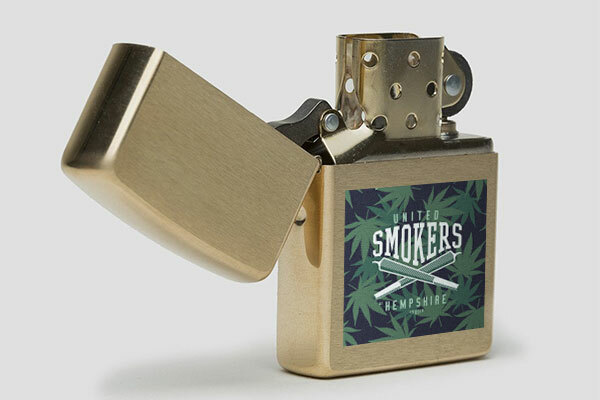 This could be anything from branded rolling papers to small lighters with your logo on it. This is a great and inexpensive way to build brand awareness. Try to pick products that get passed around often, so you can reach new potential customers! 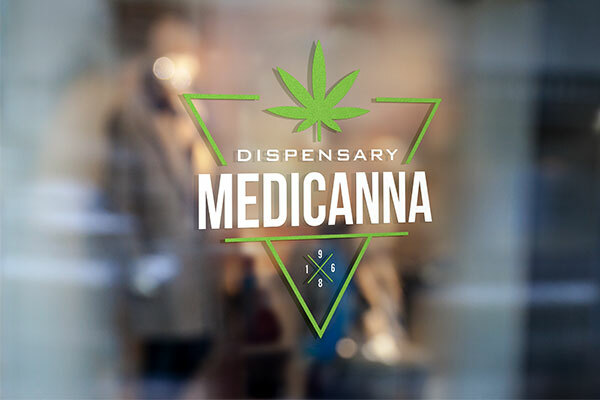 If you display your product along the walls like a lot of cannabis stores do, you may have limited space to take advantage of branding wise. Floor decals are a great way to send messages to your customers about sales, events, loyalty programs, and more! 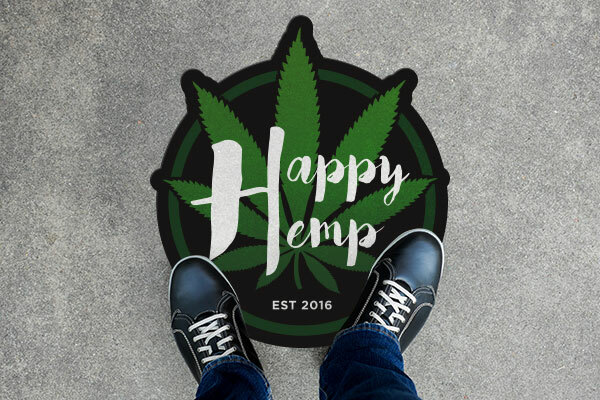 Our floor decals apply smooth, stick great, and are slip resistant to avoid any accidents - they can even apply to carpet. When customers are interacting with your company, it’s important to have consistent branding across the board. Cohesive uniforms for employees imply a clean and professional atmosphere and help bring together your brand identity. Our iron-ons and patches are easy to apply and are a great affordable solution for branded uniforms - all you need is some plain, blank tees!